As part of our Sense in the Sun campaign we are sharing all our tips and tricks for staying safe out and about during the hot summer days. If you are pregnant it’s even more important to be smart about your sun protection. Your skin is extra sensitive to the sun’s harmful UV rays, especially in the early months of your pregnancy when your immune system is in flux; and this may put you at a higher risk of developing skin cancer. 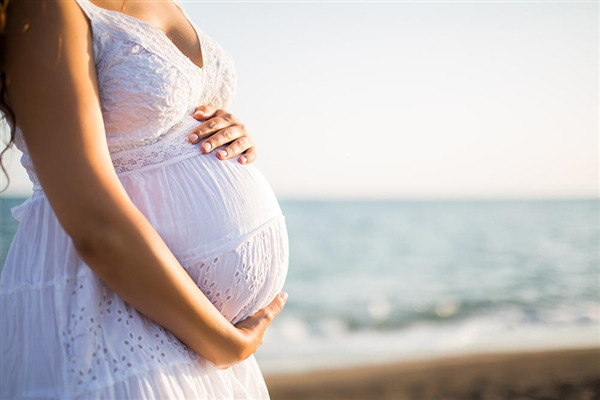 During pregnancy your skin’s melanocytes (pigment producing cells) have a heightened sensitivity, meaning that any time in the sun without protection increases your chance of permanent discolouration appearing, like freckles and melasma (brown patches, usually on the face). Some women are lucky enough for these sudden dark spots to disappear after giving birth, but others are stuck with them. Using a broad-spectrum SPF 50 sunscreen is the best thing you can do for your skin every day, even in winter. Most people don’t wear sunscreen during the working week because they think that being at work, possibly inside all day, they won’t be exposed to the sun, but what about the walk to and from the car and out in the middle of the day to grab some lunch… It’s better to be safe than sorry. For Mums to be while carrying your little bundle for nine months, it’s best to choose a product that uses reflective agents. Try a product with zinc oxide or titanium dioxide in it. This will ensure that the lotion/cream/gel/spray sits on top of your skin rather than being absorbed into it. While you’re at it, check your sunscreen’s label ingredients for oxybenzone and if the sunscreen contains this ingredient, don’t use it as it may cause developmental issues in unborn babies. If you’re feeling like you want a bronze glow for an event, or just to feel summery, opt for an eco-friendly, natural self-tanner or gradual tanning lotion. And, look on the bright side, summer is the perfect time to wear all those seaside accessories you see in the catalogues like, big straw hats, kaftans, sunglasses and full piece suits with fancy cut outs and patterns.